20 years ago, Back to the Future traveled to the Future, October 2015. Great Scott, we’ve arrived in the Future! 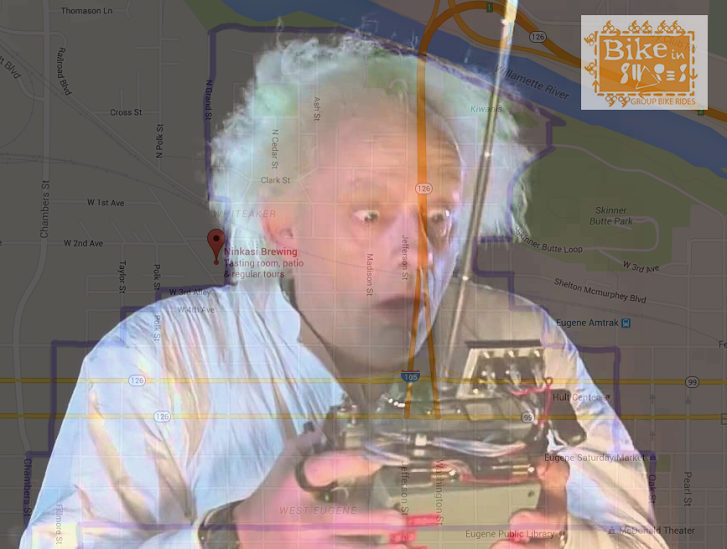 To commemorate this special month, jump on your hover bicycle to ride in the shape of Doc’s electric silver locks. We’ll meet Thursday, October 22nd at 7pm at Ninkasi Brewing Tasting Room and head out from there.